Hardwick previews Pies Damien Hardwick addresses the media at the Swinburne Centre ahead of Friday night's blockbuster preliminary final against Collingwood. "He's fine. 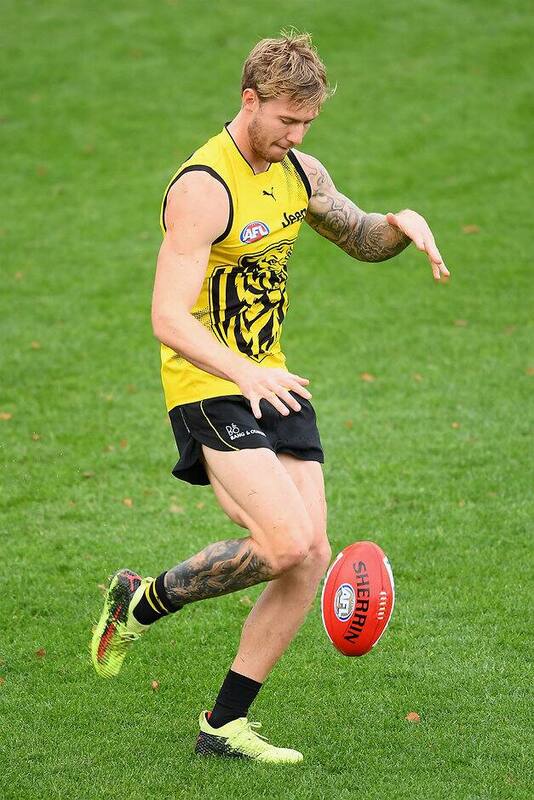 I think what we do from a media perspective is we get a little bit carried away with kicks, marks and handballs," Damien Hardwick said. NATHAN Broad was on the track Wednesday morning and looked to move freely after logging limited minutes in Monday's training session. Hardwick said the premiership defender's recent reduced output on the stats sheet wasn't the only thing considered at the selection table. "He's fine. I think what we do from a media perspective is we get a little bit carried away with kicks, marks and handballs," he said. "He's a defender. He takes space, he spoils, he does a lot of things that we value incredibly highly and that's why he plays week in, week out. "Kicks, marks and handballs are a by-product of process, and if he continues to back in the process, he plays his role every week." With the 22 from the qualifying final win over Hawthorn expected to be available and all training on Wednesday, the Tigers don't appear to be forced into making changes. But, Hardwick hinted the team might not be as settled as it appeared. "With the Hawthorn game our personnel requirements were a little bit different and the personnel requirements are a little bit different this week against Collingwood," he said. "[Brandon Ellis], Sam Lloyd, Dan Butler, Connor Menadue, Oleg Markov – all of those guys have been in pretty good form and we've got to pick the best side that we feel will get us the result." Butler has been training strongly since turning a corner in his rehabilitation from an ankle injury and is ready to play if selected despite playing just one half of VFL football since round 16.